Scope: Install a safety PLC, provide communications between existing hardware and new safety systems, implement laser scanner and light curtains, and upgrade existing system to accept trip signals. System: Improve the safety system by adding a PLC safety board to an existing thermoforming machine. The safety system will consist of a light curtain and laser scanner to detect when there are operators in the work area during machine operation and shut it down to prevent harm and injuries. 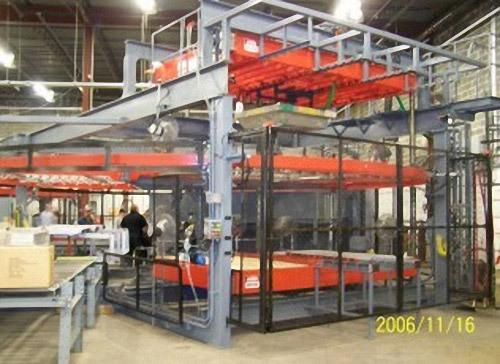 Benefit: CEI was able to implement a new safety system with minimal downtime while utilizing existing systems. This keeps operator training to a minimum and improves safety for the customer.